It’s So Simple: A light makeover! 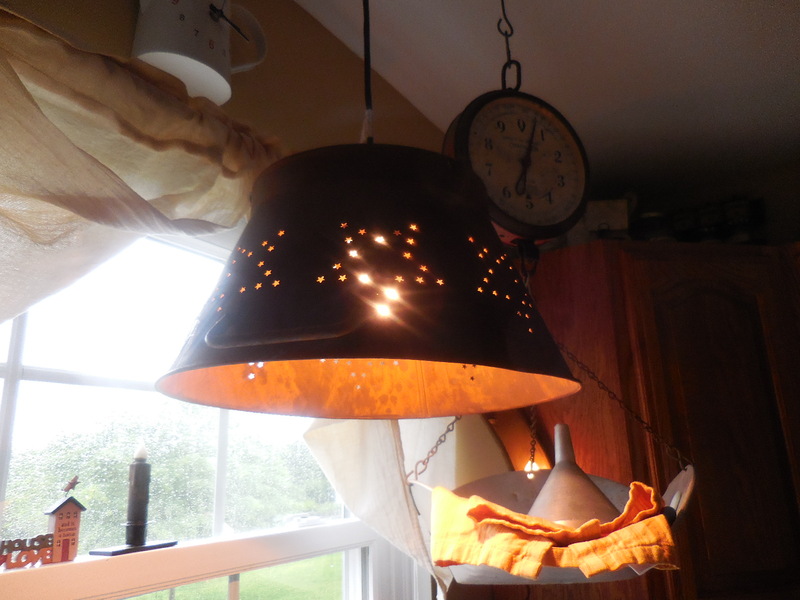 It’s been raining almost every day and when I’m stuck inside, I want to change things around. 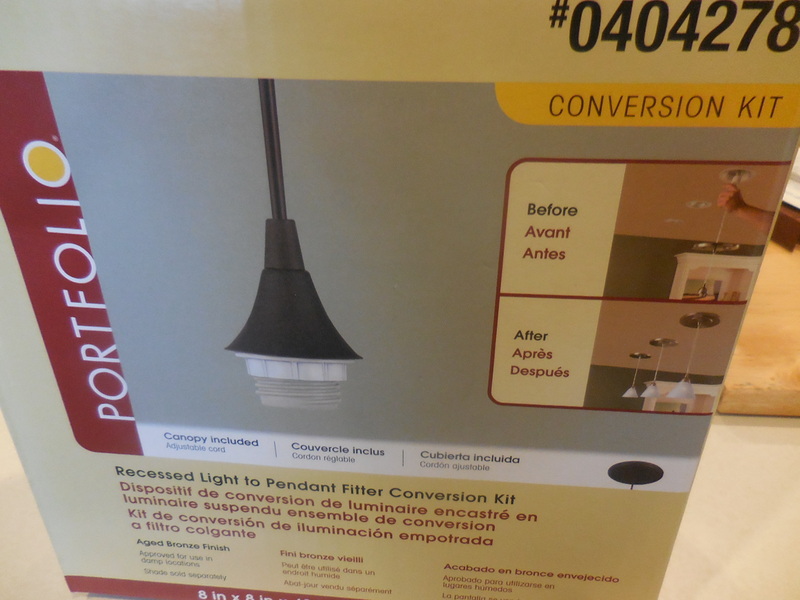 I had to make a trip to Lowe’s today and when I was there, I found a kit to transform a recessed light into a pendant light. Have I been living under a rock or what? I mean, how long has this been available? My kitchen literally has 7 recessed ceiling lights. They use spot or flood lights and now that we have to use those florescent ones, I hate it! They don’t show enough light and everything has a yellow glow. 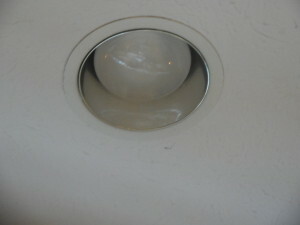 The light above the sink is worthless, especially if you are working there in the evening! I like BRIGHT lighting! So for $20.98 you buy this kit. I bought the Aged Bronze Finish. 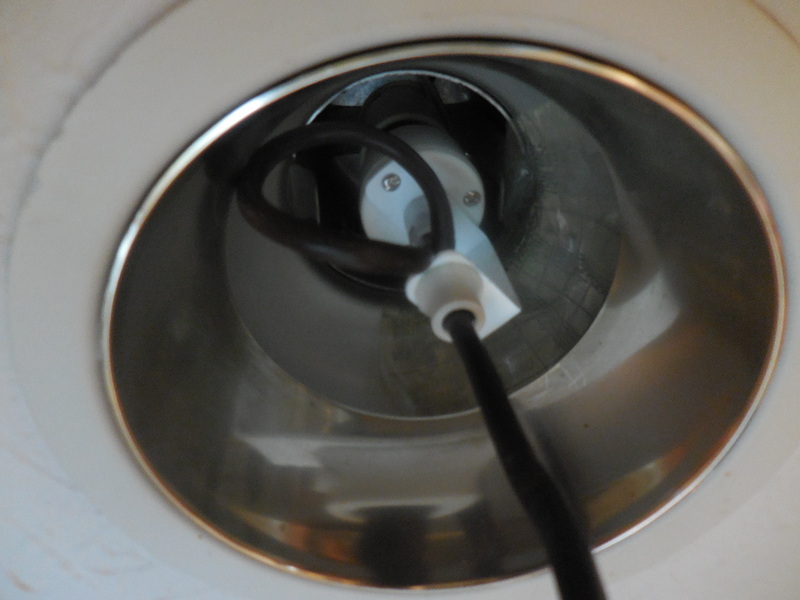 All you have to do is unscrew the existing light bulb and screw the new light into place. There are few other steps that I will walk you through because I didn’t read the instructions first and had to take it back down. because you get a really long cord with this. There is a small set screw that you have to loosen and pull the extra cord up, then tighten that screw again. Now you can screw the new light back into the existing recessed light, right where the light bulb goes in. Then just curl up the extra cording, it will fit into the recessed space. The cover then pushes up and you tighten it. It’s So Simple! 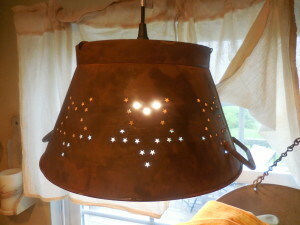 They also sell shades, but I had already purchased this rusty, colander shade. 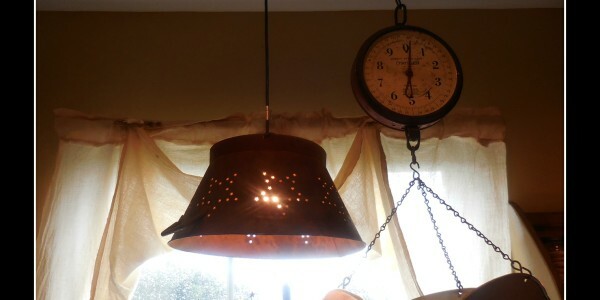 The pendant light that I ordered with it has been on back order since February. It was nothing like this one though, it was more like a swag light, so I’m happy I didn’t get it. I wonder how long it will be before hubby bangs his head on it? I’m really loving the look since my decorating style is primitive. 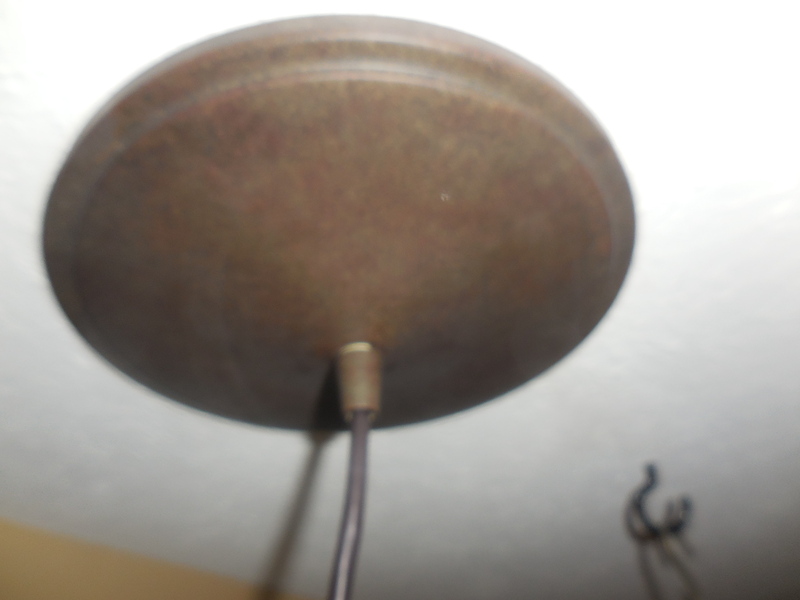 The nice thing about this, I can take it with me when we move and just have to pop the old light bulb back in and it’s a recessed light again! 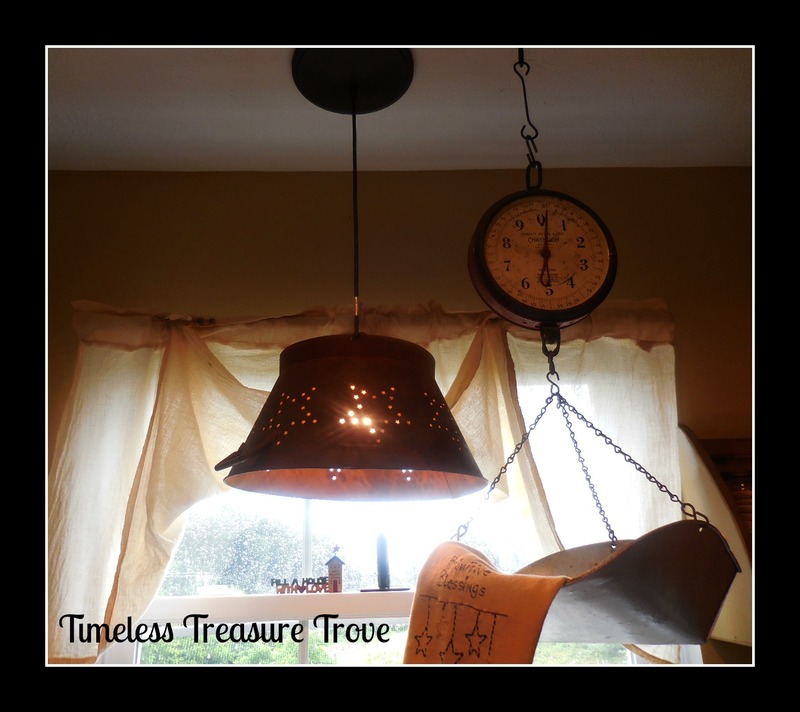 Thanks for stopping by, tell your friends about the Timeless Treasure Trove and if you don’t follow me on Facebook, please do!